This time last year I started bringing all my brain-notes and recollections of the SS14 trends and created a collection of blog posts sharing them and showing my favourite pieces. 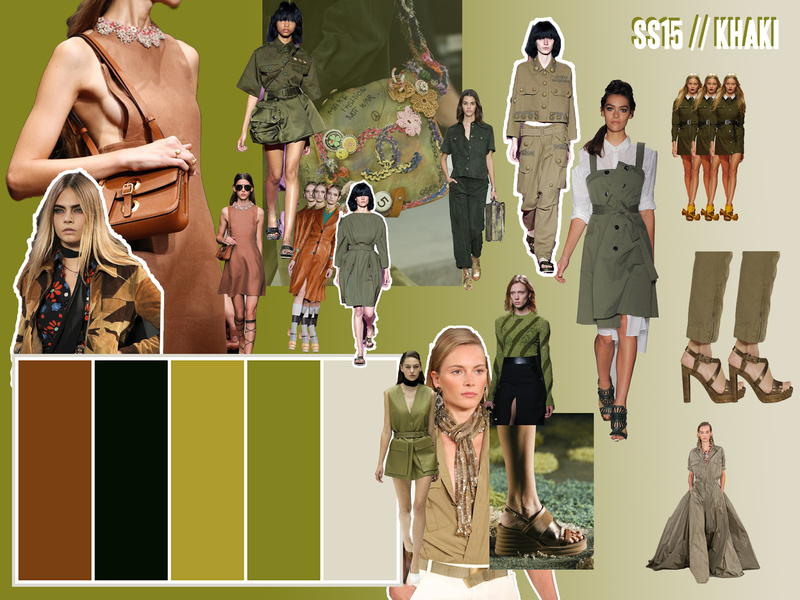 Everyone seemed to really enjoy these posts so one year later, I am here again to share with you the SS15 trends. After creating a magazine article about the fashion shows a couple of months ago for my English coursework, reading Elle Collections (my favourite magazine ever!) and stalking around online. 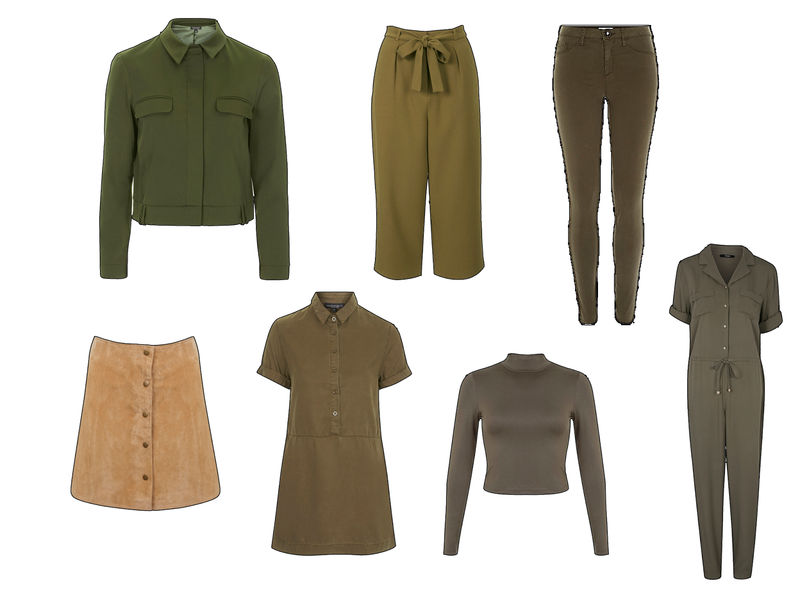 I picked up on one consistent trend: Khaki. Thanks to Vogue, I created a collage using the photos from different runways such as Valentino, Comme Des Garcon, Chanel, Loewe, Louis Vuitton, Saint Laurent and Burberry Prorsum. Two designers that focused mainly on Khaki were Marc Jacobs and Ralph Laurent with their military khaki and African khaki. I was really inspired by the designers so I found some more affordable pieces that I can add to my wishlist for the next season. I am particullary in love with the high neck crop top from Miss Selfridge and buttoned skirt which sports the 70s trend! It looks high end and I'm definately going to be getting it!